We create incredible virtual tours that your customers can experience on Google Street View, your website, mobile app, and virtual reality platforms. A virtual tour of your business powered by Google. We create interactive virtual tours on Google Street View where your customers can explore and interact with your business like never before. Convert visitors into new customers by giving them a better sense of layout, decor, and beauty of your business interior. Google Street View is an amazing piece of technology which millions of people use daily. 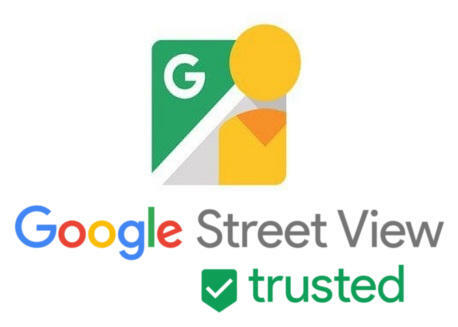 A Google Street View Virtual Tour is a affordable digital marketing tool designed to enhance your official Google My Business listing. A virtual tour built with Google Maps technology is more than photography…it’s an immersive experience that attracts new visitors and brings your customers inside your business 24 hours a day, 7 days a week, 365 days a year. Visitors can explore and share your tour directly from their computer, laptop, smartphone, or tablet. For less than the cost of an ad in your local newspaper, we can create an immersive and engaging virtual tour of your business, which greatly enhances your digital storefront by making your business stand out on Google Search, Maps, Street View, your website, and other social media platforms. A Google study found that over 80% of customers search for local businesses online and it is crucial for business owners to develop a strong and attractive presence. A virtual tour sets your business miles ahead of your competition on Google Search, Maps, and Street View! Customers searching for your business will see an enhanced Google business listing with your virtual tour photo spheres displayed directly in the search results. Your business listing will stand out far beyond your competition on the largest search engine in the world! Your virtual tour will be displayed on your official Google Business Listing, enabling people to discover your “connected experience” directly from Google Search, Maps and Street View. All visitor traffic goes to your business! Your virtual tour can be easily inserted into a page on your official website. No coding required! A virtual tour on your website is extremely eye-catching and will keep visitors engaging your website much longer, which will increase conversions and increase sales. As an officially approved Google product, a virtual tour will enhance how your search results are displayed and also provides an increase in your overall search engine optimization. Virtual tours are smartphone and tablet compatible! New customers can discover and explore your business from any device while they are out and about! Your virtual tour can be inserted into your official Facebook business page to drive social engagement and increased sharing. Virtual tours can be displayed in interactive virtual reality with Google Cardboard, Oculus Rift, Samsung Gear VR, and HTC Vive. We begin with a free no-obligation on-site consultation to discuss your virtual tour project, answer questions, and take a few demonstration photos. We will provide you with a service estimate based on the number of finished published photo spheres and any custom enhancements you wish to use. We will then schedule and shoot all of virtual tour photographs for your project. Most client locations take between 30 to 60 minutes to complete. Larger locations will be split into multiple visits to complete the project. We then edit and optimize every photo sphere to ensure clarity, enhanced colors, and remove any distracting artifacts. We can also add your business logo to each virtual tour photo. 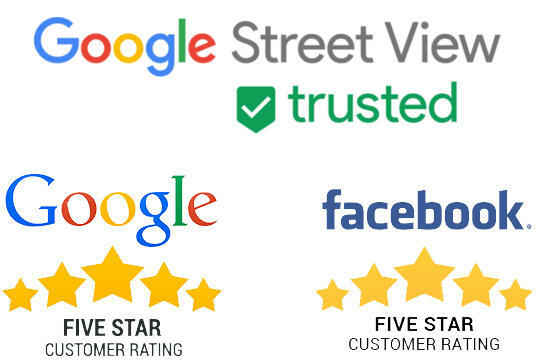 Your virtual tour photos are then published straight to Google Street View and your Google My Business listing. Public visitors will begin to discover your tour before we are even finished! Mythos Media is officially certified by Google as a trusted professional by exceeding Google’s standards of high quality 360° photography and digital content contributions. Our team has extensive experience working with local businesses, corporations, and universities. We are proud to provide our clients with the highest quality service and support they deserve.